Join pastor Jamin Goggin and theologian Kyle Strobel as they challenge age-old myths about prayer, while illuminating the realities of who God is, who you are, and the relationship you were created to have with him. Revel in the knowledge that you exist within the glory of his constant presence—that he raised you from the dust to live in perpetual communion with him. 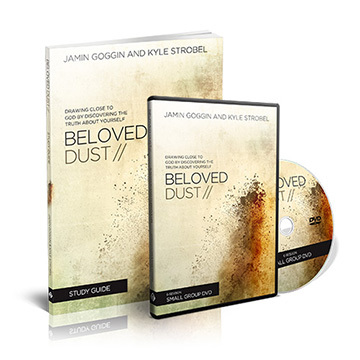 Use this study guide along with the Beloved Dust book and DVD lessons. Write down the teaching points, read the related Scripture, make notes, and use the engaging discussion questions to help you grow closer to Jesus through prayer.